Wonderful News! 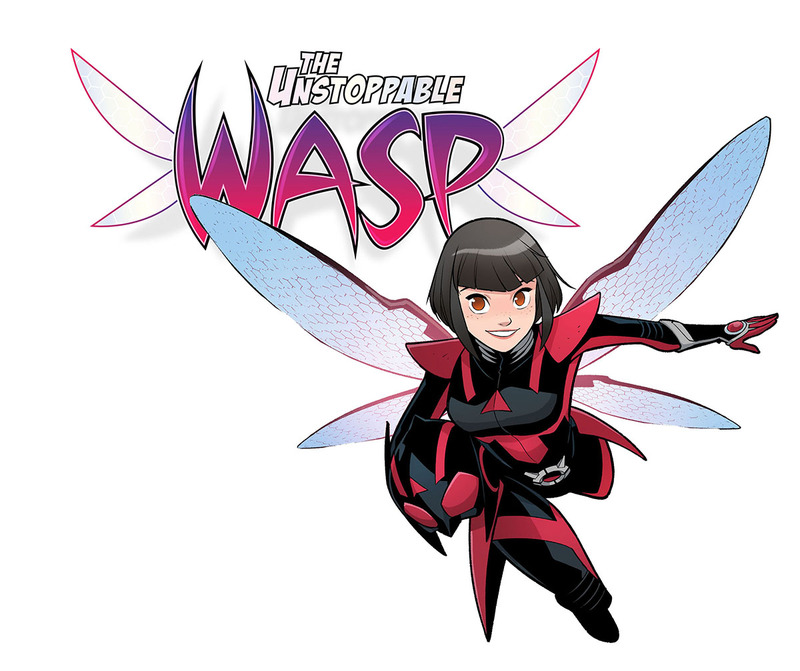 Unstoppable Wasp is Coming Back! We live in a dark world of comic book cancellations and abandonment. Many a wonderful little series has met the chopping block, cutting them short before they had a chance to thrive. Rare is the instance where we get nice things…but here we are! The Unstoppable Wasp, by writer Jeremy Whitley, is coming back! Gone too soon, now back just in time! From the sound of it, Whitley is picking up right where he left off with Nadia van Dyne and the Agents of G.I.R.L.! How cool is this?! I loved Unstoppable Wasp! It was adorable, adorkable, very friendly and colorful, and Nadia is a really fun and charming lead character. I haven’t read much else with her in it, but Whitley’s Nadia is such a heartfelt character. She wasn’t just your average superhero. She was a bit off-kilter, but 100% heroic and confident. It was painful to lose this comic the first time. But The Unstoppable Wasp is coming back in October! Art will be by Gurihiru, who I am not familiar with, but all this preview art looks pretty awesome, and perfect for the series. In the meantime, I’ll have to grab those Unstoppable Wasp tpbs on my Amazon wishlist and remind myself where things left off. By the time you’re reading this, I am preparing for an incoming shipment of Gamer Girl & Vixen graphic novels! The books I raised money for last Spring will be here by the end of the month, and my partner and I are preparing all the packages to ship out to everybody who ordered a copy! Haven’t ordered your copy yet? Don’t worry, they’ll be available soon! Until then, we’ve got a bunch of regular, awesome comics to enjoy! And not that I was going for any special theme, but this week it’s all badass solo lady comics, and one comic about a filthy hobo. Good times. Comic Book of the Week goes to the latest issue of Hawkeye for wrapping up its first storyline in style. 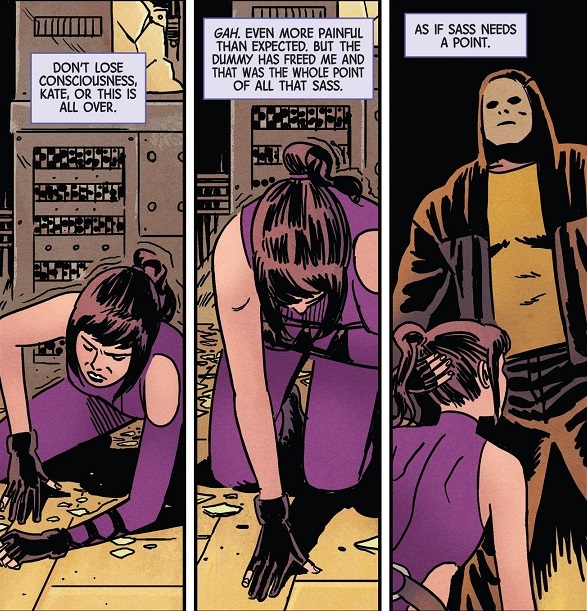 Kate Bishop actually made two appearances this week! She makes a quick cameo in America #1, but unfortunately, I wasn’t as big a fan of that new series. Comic Reviews: America #1, The Dregs #2, Harley Quinn #15, Hawkeye #4, and Unstoppable Wasp #3.